Not all Fastpass+ reservations are created equal. 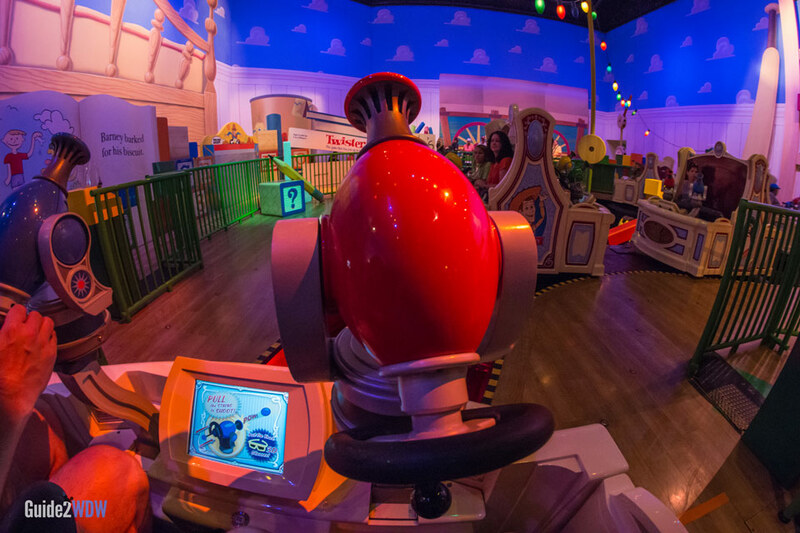 There is a roster of elite rides at Disney World that consistently have wait times anywhere between 60 and 180 minutes, and a Fastpass+ for those rides will save you the most time. Naturally, those rides have the Fastpasses that are most in demand. 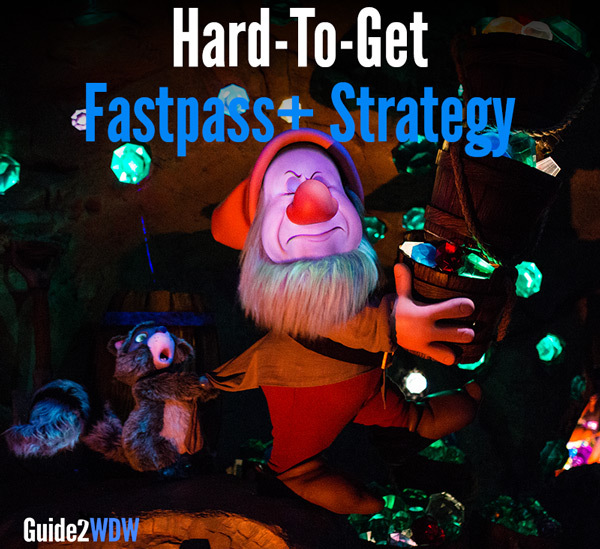 In this article, I’ll share some strategies for securing these Fastpasses, even when it seems that all hope is lost. The first thing that is vital to understand is that Fastpass+ reservations work different depending if you are staying at a Disney resort or not. Normally, a regular Disney World ticket or Annual Pass registered with MyDisneyExperience allows a guest to make Fastpass+ reservations 30 days in advance. A reservation at a Walt Disney World hotel or resort allows guests to make reservations for their entire vacation 60 days in advance of the first day. That means if someone is staying at the Contemporary for 10 days, they can actually make Fastpass+ reservations for the last day of their vacation 70 days out. If you are staying at a Walt Disney World resort, your best bet is to make your reservations as early as you can. At 60 days before the first day of your Disney World reservation, you should log onto MyDisneyExperience.com to make your Fastpass+ reservations. A big tip I can offer is that I’ve found the MyDisneyExperience website to be much easier to use than the app. If you’re making Fastpass+ reservations 30 days in advance, things get a little trickier thanks to the advantage resort guests have. For most of these attractions, I’ve usually been able to secure a Fastpass+ reservation 30 days in advance with no problem. However, I’ve personally found securing a Seven Dwarfs Mine Train or Anna and Elsa meet and greet Fastpass to be the most difficult of all of these. If you’re like me, you might try to make a Fastpass for one of these popular attractions 30 days ahead of time and find that there are none available. Do not make the mistake of giving up at that point. If there’s an attraction that is an absolute must, it’s worth checking in again. Through a combination of Disney staggering the release of all the Fastpass allotments and other guests canceling their existing Fastpass+ reservations, certain in-demand Fastpass+ reservations will periodically become available. I’ve been able to secure Mine Train or Toy Story Midway Mania Fastpasses up to the day before by just double checking. It takes a little bit of luck, but I didn’t have to obsessively check to secure these. I’ve even gotten a Soarin’ Fastpass for later in the same day, which was a big surprise. Anecdotally, I’ve found early in the morning or late at night to be good times to check, but I would need to do some testing before saying for sure. This isn’t a fool proof tactic. It takes a little bit of good timing and good fortune. However, I imagine many people wouldn’t even bother to double check to see if the availability has changed for the most popular attractions and resign themselves to waiting two and a half hours to meet Arendelle royalty. Sometimes, it pays off to be a little bit persistent. Thanks so much for this blog…it has loads of information and makes for great reading. However it was written nearly 2 years ago so am following up for any update. Our family of 4 (2 teenagers) will be in Orlando in early December. Some of our friends say there won’t be that many people at that time of year hence no need to reserve the fast pass. What are your thoughts? We are coming from Australia and obviously don’t want to stand in line wasting time but at the same time haven’t yet chosen which theme park to go to yet. Our kids are keen on only doing 1 theme park, not too fussed on doing any more. There are soooooooooooo many to choose from it’s difficult, They prefer rides than shows. I guess we are tossing up between Magic Kingdom and Universal with Islands of adventure. What would you recommend for teenagers? We were planning on doing Universal in LA but open to your suggestions. Last question, is it worth buying our tickets before we leave Australia or is it just as easy to purchase from a ticket kiosk in our hotel or elsewhere in Orland after we arrive but prior to the day we plan to go to the theme park?